2 Solutions to quickly Delete Temporary Files. Mac all the way! I recently replaced my old Mac with a new one. I promised myself that I would take care of my new Mac to keep it running smoothly. One friend told me I have to delete temporary files regularly to clear up space on my Mac and keep it in tip-top condition. How do I do this? About delete Temporary Files on Mac, here are the tactics you’ll learn about in this post. Part 1. Why We Sholud Delete Temporary Files on Mac? Part 2. How to Manually Clearing Up Cache And Temporary Files? Part 3. How to quickly Clean Up Temporary Files, Log Files, and Caches? Some users of the Mac device wish to clear out caches and temporary files. Temporary files and caches actually include things like messaging cache, partially completed downloads, web browser cache, web browser history, and so much more. Most applications have the ability to handle cache management themselves. The macOS can also handle cache type files and temporary files directly. Advanced users can actually do this manually and be able to clear out their temporary files and cache. So why remove temporary files and caches in your hard drive? Well, it gives you that much-needed disk space. As you might know, an overloaded drive would result in a slowing down of your Mac device. Thus, if you free it from disk space, you give it a chance to perform better. The next part of this guide will show you how to clear Cache, Log, and Temporary files manually. You can manually delete temporary files, log files, and cache on your Mac. However, this manual method of doing so is not recommended for beginners. Even advanced users sometimes get this wrong and cause system malfunction. Step 4 - In this stage, you might want to back up the files you are about to clear up. This step is optional. The simplest way to make a backup of these files is to hold the ALT key while dragging the folder towards the desktop. Step 5 - Select every file you see in the Cache folder. You can do this by selecting one item located in the Cache folder first and then be going back to Finder menu. Step 6 - Once all files are selected you can now delete them. You can do this by dragging the selection towards the Trash Folder located in your Dock. After which, you should empty the Trash by clicking Empty Trash located in the Finder menu. As stated previously, manually clearing up temporary files, log files, and caches can cause your system to malfunction. That’s why we recommend a tool to help you with it. But what tool should you use? It’s iMyMac-Cleaner’s Mac Cleaner. -It displays your Mac’s system status including CPU, Memory, and Disk status. -It helps speed up your Mac and improve its performance. 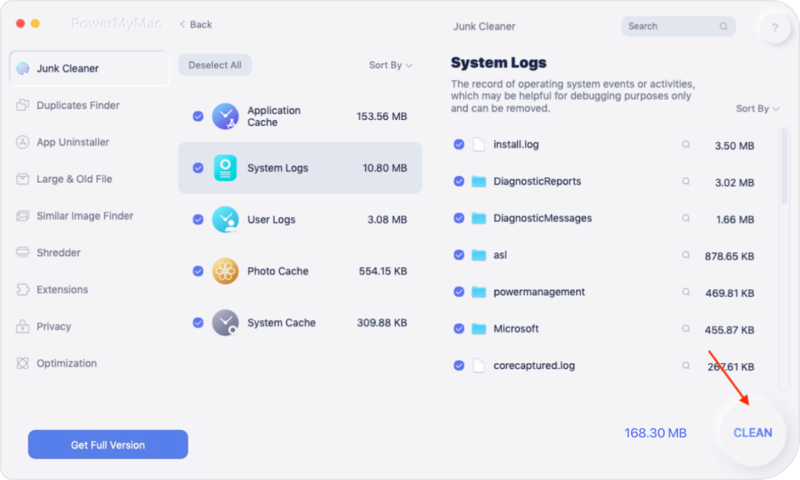 -It scans your Mac comprehensively including iTunes, Mail Attachment, Trash Bins, old folders, and Backups. -It shows unnecessary files in various categories allowing you to preview unnecessary files before cleanup. -You can sort scanned files by various characteristics like size, time, etc. -One-Click Feature allows you to do a deep scan of your Mac and implements a thorough cleanup with one click. -It is a powerful application that doesn’t miss any file within your Mac device. -It provides a Free Trial for the first 500MB. You can experience the amazing features of this tool without the need to shell out money. 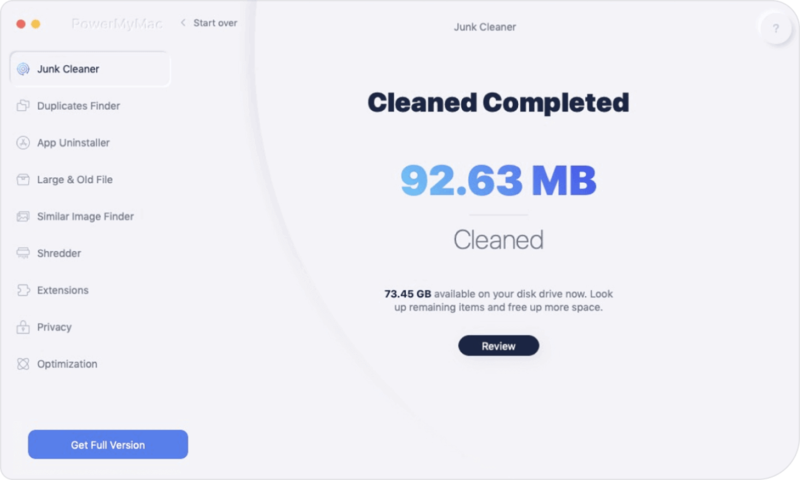 Download the iMyMac-Cleaner tool from its official website. Open iMyMac-Cleaner on your device. The main interface will show the system status such as Disk Space, Memory, and CPU. Click the Scan button. Wait for the scan process to be finished. Once it is done, it will show a list of junk files in various categories. The categories include Application Cache, Photo Junks, Mail Junk, System Logs, System Cache, User Logs, and Trash Bin. Select a particular category. Select the files you want to delete per category. Click the Clean button and wait for the cleanup process to be completed. Wait until the software marked this files as Zero KB. This means it has already been cleaned up. Some files are not marked as Zero KB because they are auto-recreated folders. Repeat steps 1 to 8. The only difference is that in Step 3, you have to select Clutter OR Large & Old Files instead of Junk Files. If you want to speed up your Mac and enhance its performance, it is recommended that you clean up temporary files, log files, and cache. Why is this so? Because a cluttered Mac device can result in a slowing down of its system. When you clear up your Mac of temporary files, you free up your device of disk space which leads to faster performance. There are two ways to do this. One is to do it manually. The second is with a tool. The first option is not recommended for beginners as necessary files can be deleted by mistake and cause system malfunction. Thus, the second option is the best choice. You can use iMyMac-Cleaner’s Mac Cleaner to do this and delete your temporary files for better Mac performance. 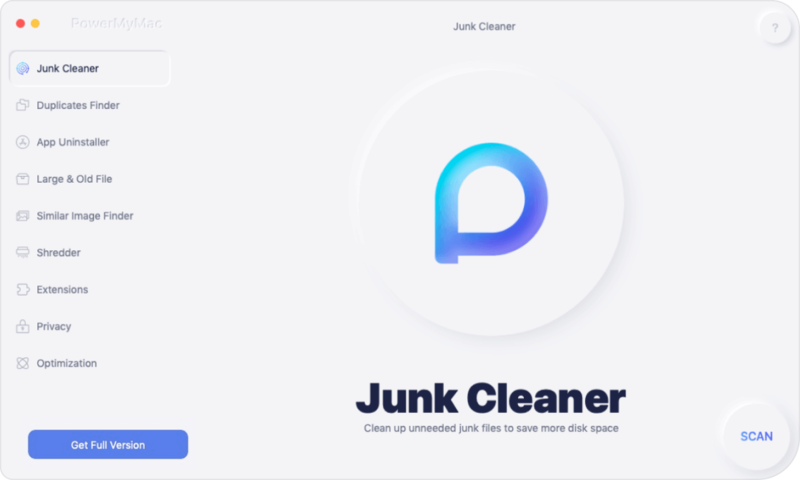 / Mac Cleaner / 2 Solutions to Delete Temporary Files.